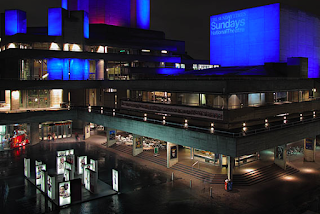 More commonly known as the National Theatre, or more affectionately known as the National, the Royal National Theatre of Great Britain is the leading subsidised theatre in the UK. It was founded in 1963, and was originally based in The Old Vic. In 1976 the current premises on the South Bank, designed by architects Sir Dennis Lasden and Peter Softley, was opened with three different performance spaces: the Olivier, the Lyttleton and the Cottesloe. Today, the building is designated as a grade II listed building, and it is a well-known landmark on the London South Bank. The current Director of the National is Sir Nicholas Hytner, who has held the role since 1993. This position has lead to being ranked joint second in the list of the most influential people in UK theatre, tied with the Royal Court’s Dominic Cooke, and the Donmar’s Michael Grandage. Since its founded, various notable people have been the National’s Director, including Baron Laurence Olivier (1963-1973), Sir Peter Hall (1973-1988), Sir Richard Eyre (1988-1997) and Sir Trevor Nunn (1997-2003). The National has three theatres. The Olivier holds 1,180 people and is an houses an open stage with a ‘drum revolve’ which extends eight metres below the stage. The Lyttleton’s capacity is 890, and it is a standard proscenium arch space. The Cottesloe is an adaptable studio space which can seat up to 400 depending on the seating configuration. It will be renamed ‘The Dorfman’ in 2013 due to the fact that it is being redeveloped as part of the ongoing NT Futures redevelopment. Each of the National’s theatres can run up to three shows in repertoire which increases the limit on the number of productions which it can produce and stage in-house each year. The National stages about twenty of its own productions every year. 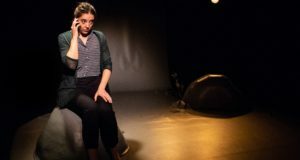 They employ a wide variety of actors and directors, and the productions are diverse, covering everything from traditional Shakespeare to new and original writing. Its productions are renowned for being of exceptionally high quality, and many of them receive excellent reviews. The National’s production of Michael Morpurgo’s War Horse transferred to the West End to operate as a commercial production in 2009 due to its success. 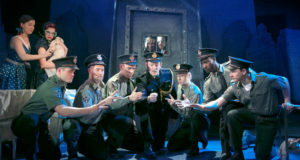 In the 2009-10 season, the National’s productions ran at an average of 90% attendance, a small fall from the 2008-9 season which saw average attendance peak at 93%. 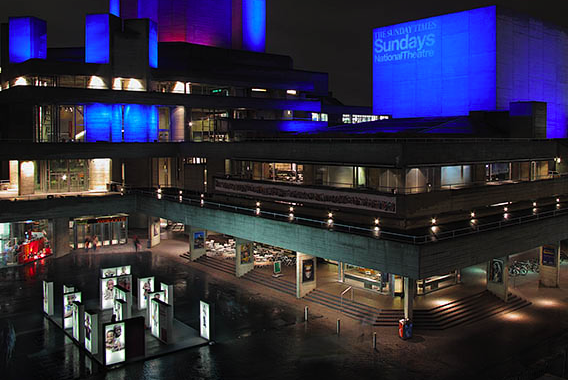 The National Theatre is a registered charity, and in 2009-10 it had a turnover of £64 million. 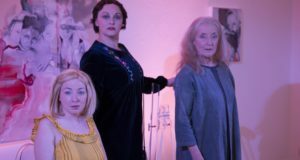 Of this, £20 million came from its central Arts Council England grant, £17 million from its in-house box office takings, £13 million from the War Horse box office takings and the remaining £14 million from other trading activities and fundraising. The National has an extensive list of private and commercial donors. One of its highest profile corporate sponsors is Travelex, which sponsors the Travelex £12 Season. Outside of its productions, the National’s best known activities are their Platform series, which is a series of pre and post-show events. They include Q&As with directors as well as seminars and other discussion based sessions. The National has an extensive educational programme (called Discover), and alongside its productions it runs exhibitions, a book shop, a studio and free concerts in its foyer. It also has a number of commercial outlets including a variety of restaurants, bars and cafes. The Head of Disney Theatrical Productions, Thomas Schumacher, perhaps the most ruthlessly commercial theatre producer of all time once described the National as a ‘world-treasure’. This description is spot on. The National provides theatre lovers with an all round theatre and cultural experience. It is nothing short of a theatre-lovers paradise. You can visit an exhibition or a platform before or after your production, you can listen to some free music in the foyer, you can visit their excellent bookshop and you can have a cold beer or an exceptional espresso in highly civilised surroundings. In summer, the front of the building by the river becomes a haven of social activity as people share their take on the productions and activities that the National has to offer. All of this is before we even think about the quality of the productions. Not all of them are good (see our review on Greenland for example). However a lot of them are not only good, but they are outstanding (see our review on Frankenstein for example). One thing that you can guarantee however is that they will be original, refreshing, often challenging and always beautifully staged. It takes risks, and sometimes they don’t work, but that doesn’t matter because that is what theatre is about. Thomas Schumacher was right to say that it is a world-treasure, because it genuinely is. To find out more about the National Theatre go to www.nationaltheatre.org.uk.